Is this this the same mjhpadi from Lewistown who used to have a green (I think it was green) F150 and was pretty active on Ford Truck World back in the day? 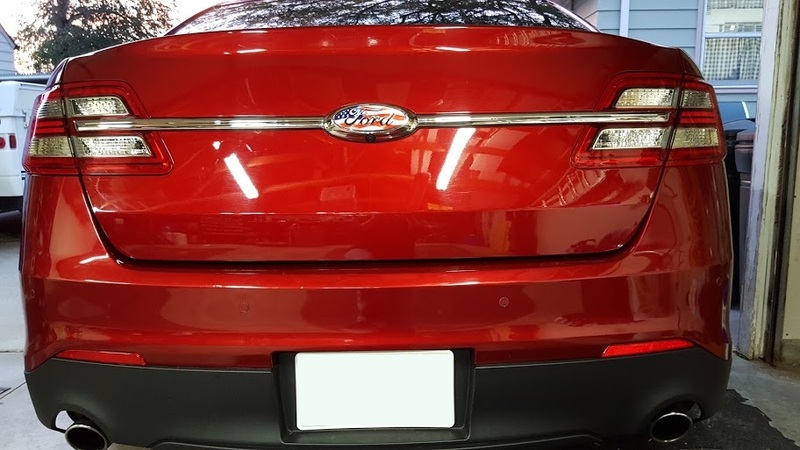 What are the part numbers and brand of the LED lights for license plate and puddle lamps did you use, and if you could where did you get them? I like the look of the rear with no badges. I was thinking of removing my Taurus badge. Looks good. Pulled it all off last night. May leave it this way for awhile as I play with ideas. Thanks again for the link and advise. Thanks, that's a great write up. I'll be collecting the items needed and gonna give it a go. I have always like to make my vehicles unique, something different than most but not overly flashy. I see you have a comment on your sig line that you have Rearranged Trunk Badging. I have been thinking about redoing the Taurus by spreading it out equally across the trunk. Maybe the Limited as well. Was just wondering if you had any pics of what you did and any advice before I try this. I sure didn't even notice them until I took a second look. They look stock from the factory! Good add-on! Thank you for submitting for COTM!! I love your car. The DRL's look sweet! Thank you for all that you do for the gen 6 community! 11:57 PM - SpartanFan quoted mjhpadi in post Michelin Defenders or BF Goodrich Touring? 12:01 PM - thefranchise713 quoted mjhpadi in post I have a 2016 Ford Explorer Limited 300A 4x4 2.3L EcoBoost. Ask me anything! 01:42 PM - Lgbpop quoted mjhpadi in post Michelin Defenders or BF Goodrich Touring? 12:20 PM - mjhpadi quoted Lgbpop in post Michelin Defenders or BF Goodrich Touring?